So Cal Duo Performing Classic Rock & Alternative From The 50's To Now, Plus Originals. Psycho Punx are a young, alternative/classic rock band from the Inland Empire. 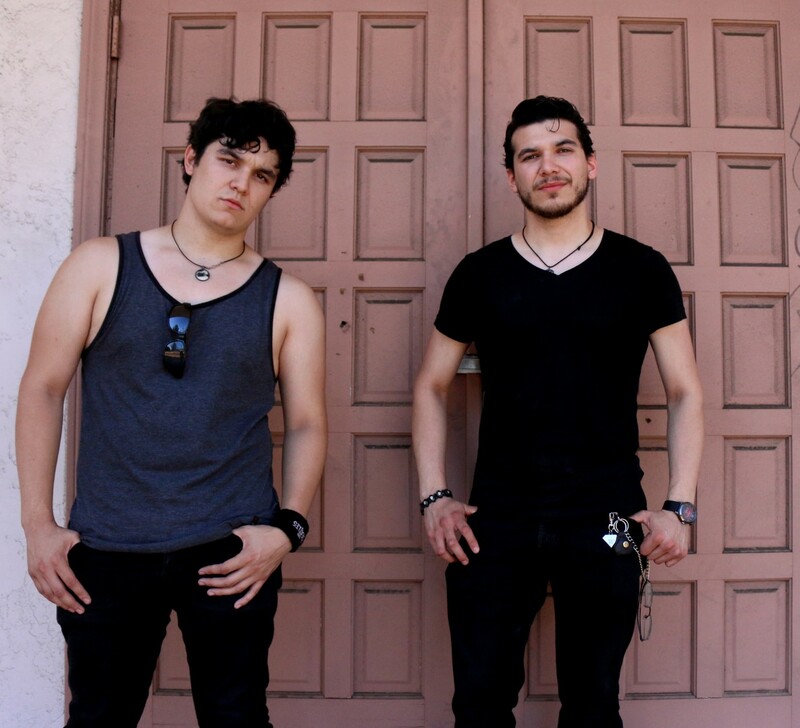 Two brothers Raised in Fontana, lead vocalist/ guitarist Paul Reyes-Aguayo (24), and drummer Austin Reyes-Aguayo (19), began playing at a young age performing at places such as schools, public car shows, and massive events, restaurants and more. The two brothers created the band and have been performing music for over ten years. The duo began expanding their local opportunities and performing in other cities and counties. Opening new doors , the band began Playing at nightclubs, grand openings, fundraisers, restaurants, farmers markets, schools, private parties, (etc.) all over the San Bernardino and Riverside County. The band recently performed for The Southern California Edison Company’s Christmas Party. As the young band began exploring new places, the Psycho Punx managed to obtain a decent fan following. Playing hits from the bopping 50’s, to the dance floor 80’s, through the grungy 90’s, so on and in between, the band attracts all ages. Psycho Punx are constantly writing and learning new material for the audience. Audiences have danced and sang along to the band’s music and with all their support Psycho Punx are proud to play as long as the crowd allows them. They Played at the L.A. County Fair in September 2012 and were labeled the #3 band in Southern California! You can always see what they’re up to at their current website, www.facebook.com/psychopunxmusic and also watch live performances on YouTube by simply searching “Psycho Punx Group”. Copyright © 2019 Psycho Punx. All Rights Reserved. The Matheson Theme by bavotasan.com.